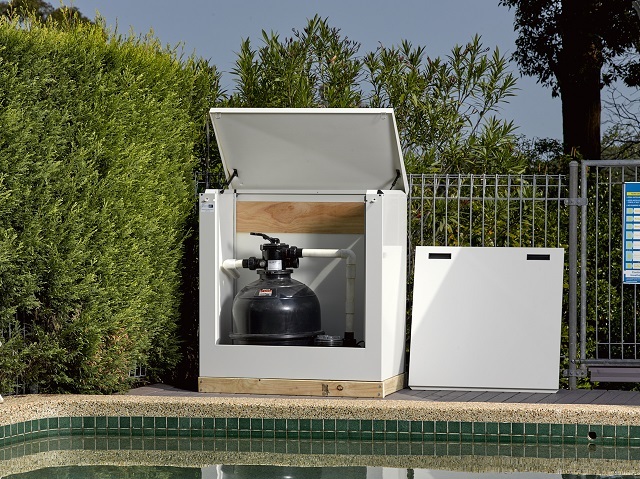 The Acoustic Box Company specialises in manufacturing Swimming Pool filter & pump enclosures. 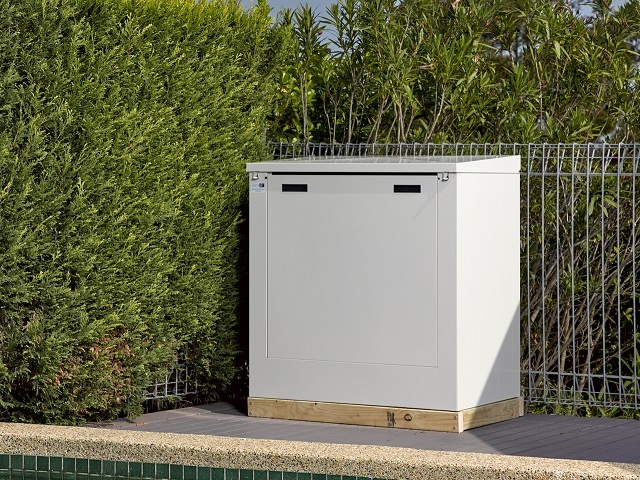 The Pool filter boxes are soundproof with a state-of-the-art unique design that can all be assembled in less than 5 minutes - and without any nuts or bolts!. 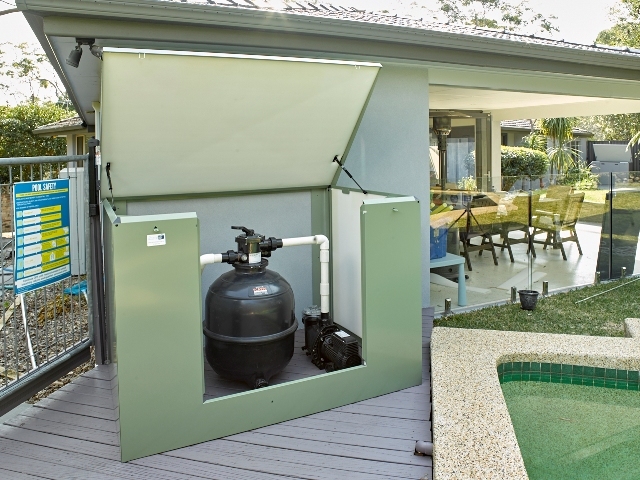 Our Pool filter covers / enclosures can be supplied and delivered to all areas in Australia. 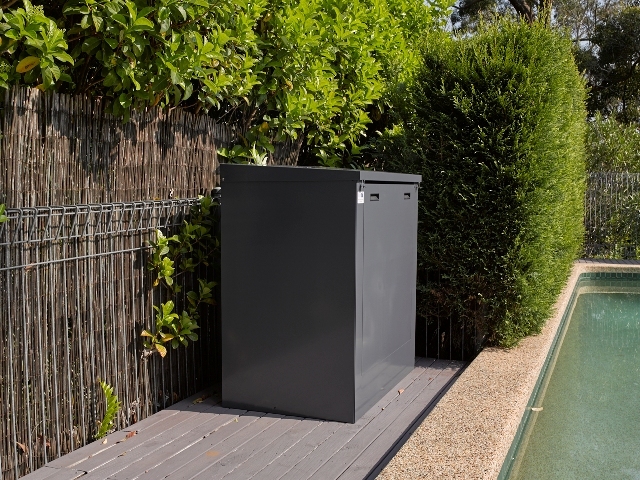 We are primarily a trade supplier though you can order one of our Pool Filter Boxes through your Pool builder, local Pool shop, Pool technician or Landscaper. To find your nearest reseller please click here. Please contact us here If you are unable to buy one of our boxes through one of our resellers. 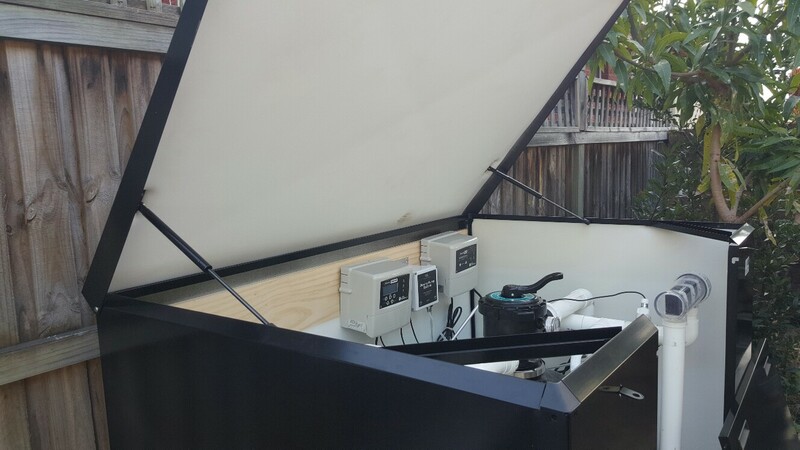 100% AUSTRALIAN MADE, OWNED & DESIGNED. 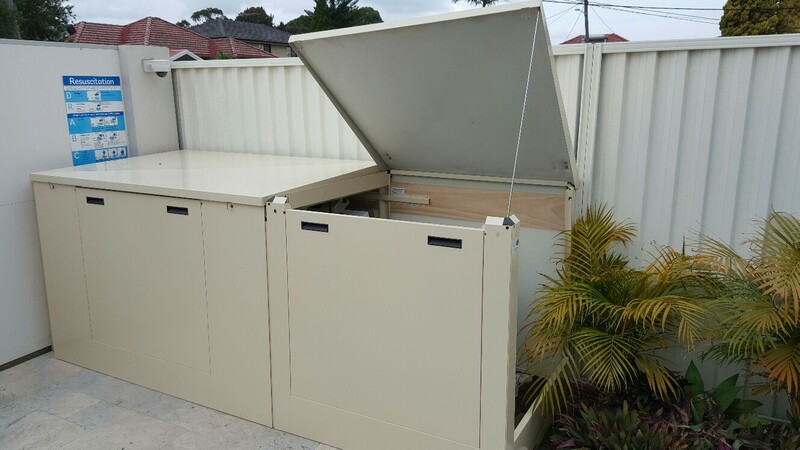 Easy to assemble in as little as 5 minutes (on average) - NO nuts and bolts, NO screws or any special tools required! 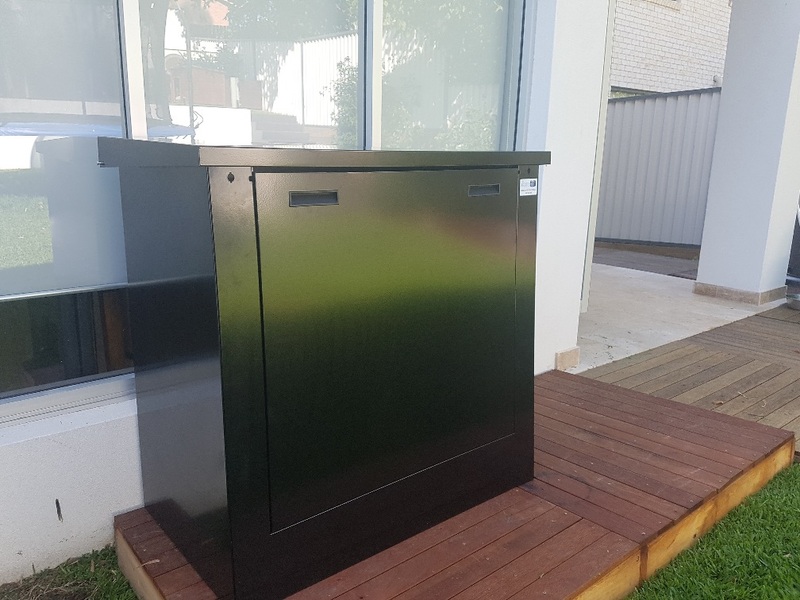 Save money on design - A custom designed box made from timber or other material will undoubtedy cost more - and won't look as good! Comply with all state and council requirements with regards to sound proofing and any other structural aspects. 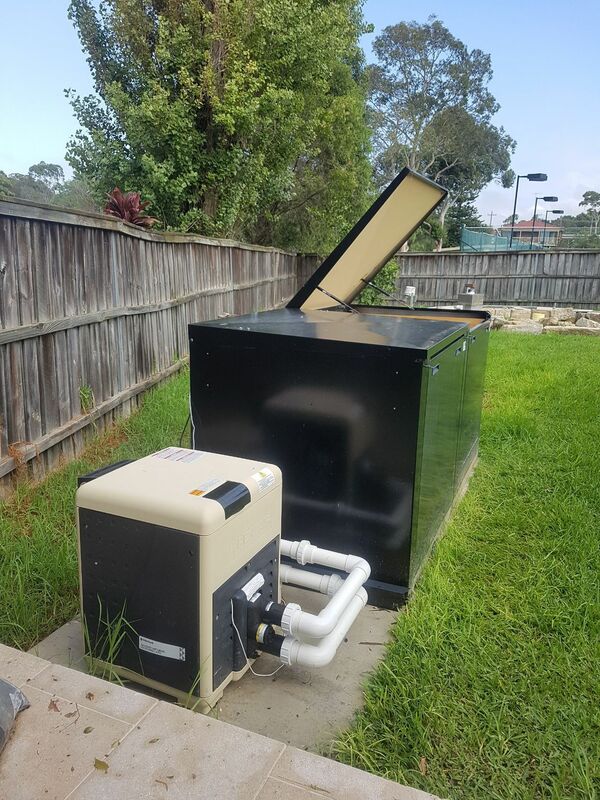 "We deliver our Pool Filter Covers and Pool Filter Boxes Australia-wide including Sydney, Melbourne, Perth & other regional areas using door to door courier service."